The community swimming pool in Snow Shoe won’t be open on the last day of school, but borough Mayor Bill Dudish said he worked with Jenn Nastase, who oversees the Mountain Top Area Pool Association, to offer Mountaintop Area Elementary School students a free one-day pass to use this summer. It comes after teacher Rhonda Ternent’s second-grade class sent a note to Dudish as part of a social studies unit. “Literally, the kids just asked, ‘do we have a mayor in Snow Shoe?’ and I said, ‘yes’,” Ternent said. 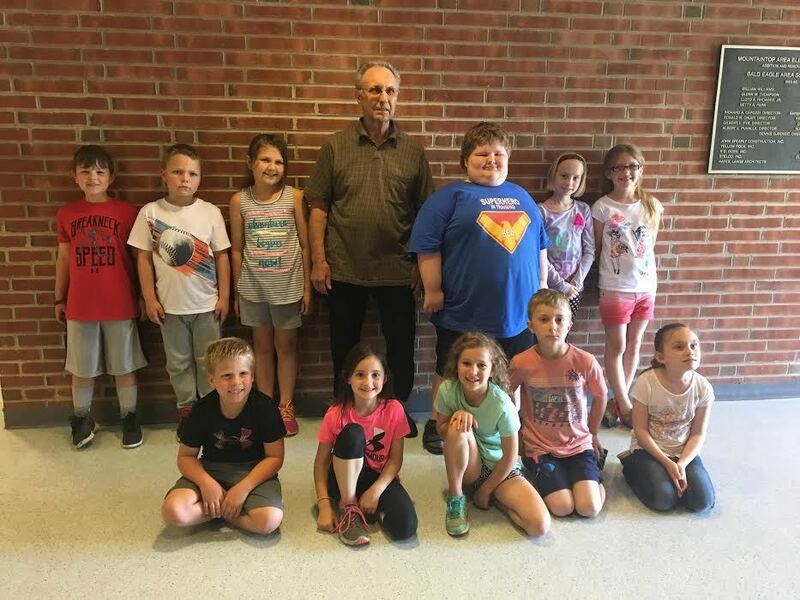 They then wrote him a letter earlier in the spring – each asking one question – and as a class also requested to have a Mountaintop Area Elementary School day at the community pool. The idea was to have a half day of class on the last day of school, followed by time at the pool for the remainder of the day. Because the pool is not yet open, Dudish decided to instead reward the students with one free pass to use this summer. He surprised the students with that news when he visited the school on May 29. Dudish said this was the first time he received a note from students at the school.